September 7, 2017 (Source) – Thunderstruck Resources Ltd. (TSXV: AWE) (“Thunderstruck“) announces that, further to its press release dated July 24, 2017, it has closed its previously announced non-brokered private placement (the “Placement”). Gross proceeds of $751,800.00 were raised through the sale of 9,397,500 units at a price of $0.08 per unit (each a “Unit”). Each Unit comprised one common share and one share purchase warrant. Each warrant entitles the holder to purchase a further common share at a price of $0.15 per share until September 6, 2020. The warrants are subject to accelerated exercise provisions such that if the closing price of the Company’s common shares exceeds $0.25 per share for a period of 20 consecutive trading days, the Company may give notice of the acceleration of the warrants’ term to a period of 30 days following such notice. Aggregate finder’s fees of $22,400.00 were paid in cash and 240,000 finder’s warrants were issued bearing the same terms as the warrants forming part of the Units. All securities issued in the first tranche are subject to a hold period in Canada expiring on January 7, 2018. Additional restrictions may apply pursuant to Rule 144 of the Securities Act of 1933, as amended, to U.S. investors. Due to increased interest in the Placement, the Company has determined to arrangement a further non-brokered private placement of Units at $0.08 per Unit. The Company will seek to place a further $100,000 up to 1,250,000 Units. An insider of the Company subscribed for a total of 862,500 Units, both directly and indirectly, for aggregate subscription proceeds of $69,000, constituting a “related party transaction” as such term is defined under Multilateral Instrument 61-101 — Protection of Minority Security Holders in Special Transactions (“MI 61-101″). The Company is relying on the exemptions from the formal valuation and minority approval requirements under MI 61- 101. The Company is exempt from the formal valuation requirement of MI 61-101 in reliance on sections 5.5(a) and (b) of MI 61-101 as the fair market value of the transaction, insofar as it involves interested parties, is not more than the 25% of the Company’s market capitalization, and no securities of the Company are listed or quoted for trading on prescribed stock exchanges or stock markets. Additionally, the Company is exempt from minority shareholder approval relying on sections 5.7(1)(a) and (b) of MI 61-101 as, in addition to the foregoing, (i) neither the fair market value of the Units nor the consideration received in respect thereof from interested parties exceeds $2,500,000, (ii) the Company has one or more independent directors who are not employees of the Company, and (iii) all of the independent directors have approved the placement. 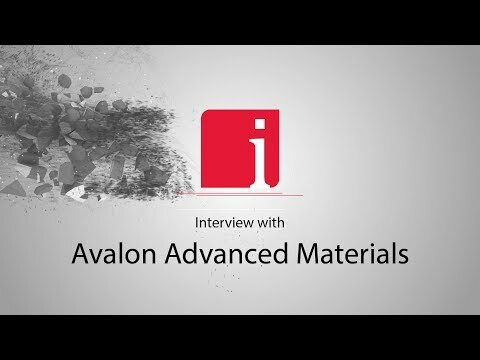 A material change report was not filed 21 days prior to the closing of the private placement as insider participation had not been established at that time. Ms. Bryce Bradley acquired an aggregate 92,500 units directly and 870,000 units indirectly through 1089660 B.C. Ltd., a private company owned and controlled by her, which securities in the aggregate represent 2.20% of Thunderstruck’s issued and outstanding share capital. Prior to this transaction Ms. Bradley owned or controlled 4,634,715 common shares of Thunderstruck, directly and indirectly, as well as warrants to acquire a further 1,087,500 common shares and options to acquire a further 950,000 common shares. Upon the completion of the placement and the option granted noted below, Ms. Bradley owns or controls an aggregate of 5,497,215 common shares of Thunderstruck, representing 12.54% of the issued and outstanding common shares of Thunderstruck, and warrants to acquire 1,949,500 common shares of Thunderstruck and options to acquire a further 950,000 common shares of Thunderstruck, representing approximately 17.97% of the issued and outstanding shares of Thunderstruck, on a partially diluted basis assuming the exercise of the convertible securities held by Ms. Bradley only. Ms. Bradley acquired these securities for investment purposes, thus depending on the economic or market conditions or matters relating to Thunderstruck, Ms. Bradley may choose to either acquire additional securities or dispose of securities of Thunderstruck. Portions of this press release are being issued pursuant to National Instrument 62-103 – The Early Warning System and Related Take-Over Bid and Insider Reporting Issues which requires a report of Ms. Bradley to be filed under the Company’s profile on SEDAR (www.sedar.com) containing additional information with respect to the foregoing acquisitions. A copy of the related early warning report for Ms. Bradley in respect of the acquisition described above will be filed on www.sedar.com. The Company has granted 1,125,000 stock options having an exercise price of $0.09 and a ten-year term to certain of its directors, officers and consultants. Thunderstruck Resources is a Canadian mining exploration company with highly prospective VMS and Precious Metals projects in Fiji. The Company provides investors with exposure to a diverse portfolio of assets rich in zinc, copper, gold and silver in a politically safe and stable jurisdiction. 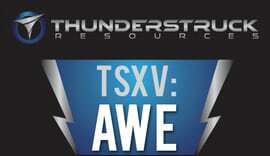 Thunderstruck trades on the Toronto Venture Exchange (TSX-V) under the symbol “AWE”. This news release contains certain statements that may be deemed “forward-looking statements“. Although Thunderstruck believes the expectations expressed in such forward-looking statements are based on reasonable assumptions, such statements are not guarantees of future performance and actual results may differ materially from those in forward looking statements. Specifically, there is no assurance the private placement will be closed on the terms set out above or at all or that) TSX Venture Exchange approval will be received. Forward looking statements are based on the beliefs, estimates and opinions of Thunderstruck’s management on the date the statements are made. Except as required by law, Thunderstruck undertakes no obligation to update these forward-looking statements in the event that management’s beliefs, estimates or opinions, or other factors, should change.